Just a short note today. I was happy to hear this week that I’ve passed all the tests needed to earn the Essential Skills Certificate from the American Medical Writers Association. This required taking 7 courses, most of which I was able to complete at home through AMWA’s self-study modules. Even though I’ve been a grammar (really a punctuation) nerd for years, I learned quite a bit from the courses, and some of them covered areas that I did not have much previous experience with. (You see what I did there. I ended a sentence with a preposition. It’s OK.) Even though I am very comfortable with writing, it had been many years since I had any formal instruction in it, so for me it was worth the effort to earn the certificate. I think the statistics module was the most fun for me, possibly tied with punctuation. I took an honors statistics class in college, but that was a long time ago so the refresher was welcome. By working steadily, I was able to finish the certificate in two months. 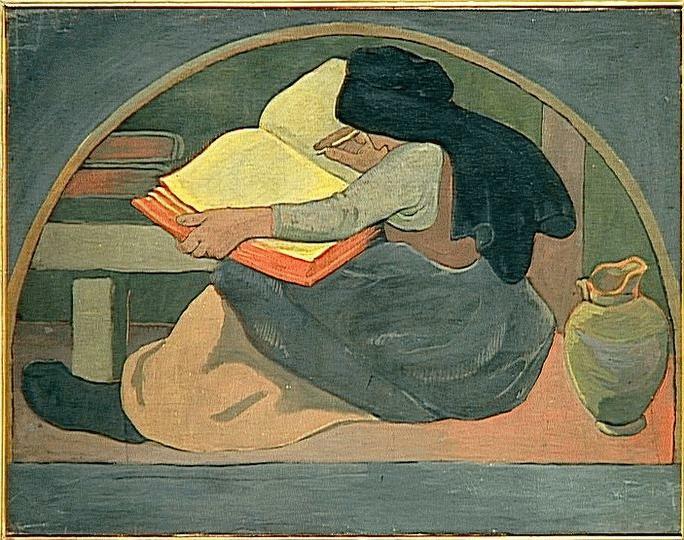 Today’s artwork is La Grammaire, by Paul Serusier (1892), which mainly illustrates that you never know what you’re going to find when you start poking around Wikimedia Commons for public domain images. Great job, Dr. Walden!! Congratulations on your certification and new blog. I plan to send it to friends with dogs and cats!